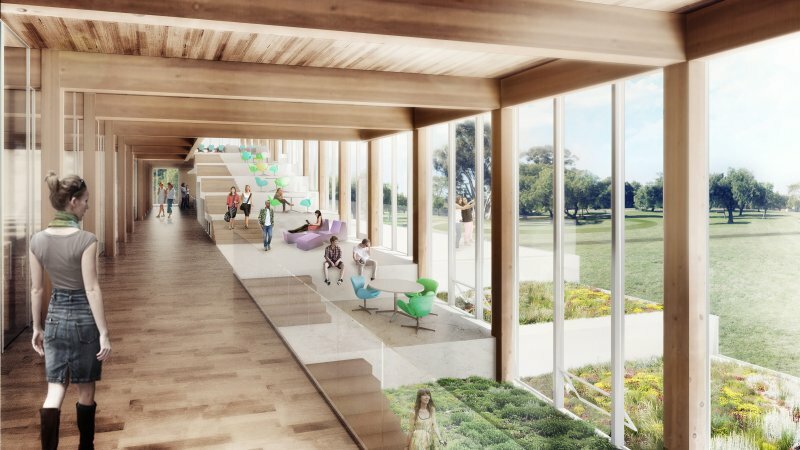 The Living Building Challenge (LBC) represents a transformative shift in our approach to how buildings are designed, built, and inhabited. How can we make the act of building to be restorative, with net positive impact on the environment and human health? 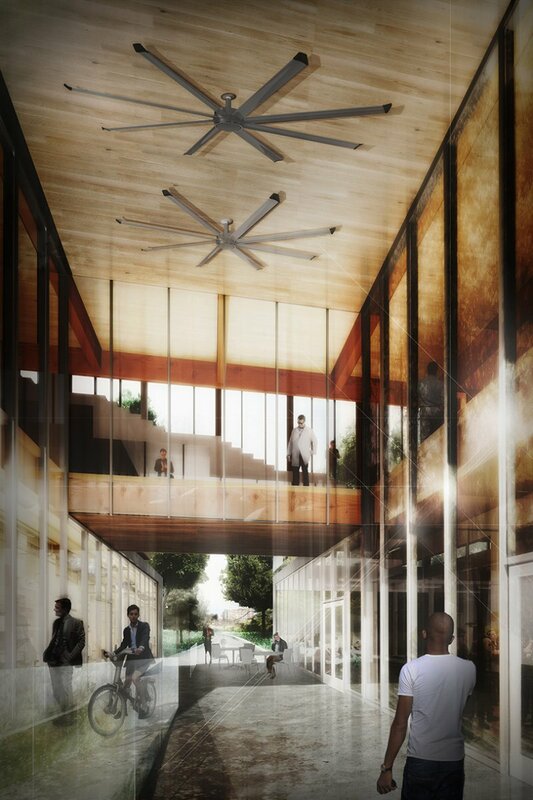 The Georgia Institute of Technology, supported by the Kendeda Fund, invited architects across the country to participate in a competition that envisioned a Living Building at Georgia Tech. As one of three finalists, Collins Cooper Carusi, Eskew+Dumez+Ripple, and Hellmuth+Bicknese joined forces with engineers, landscape architects and a cost estimator to realize Georgia Tech’s vision of an exemplary, replicable design at the highest standard of sustainability. Challenged to think differently, the team used new communication tools, including a blog, to collect research ideas. 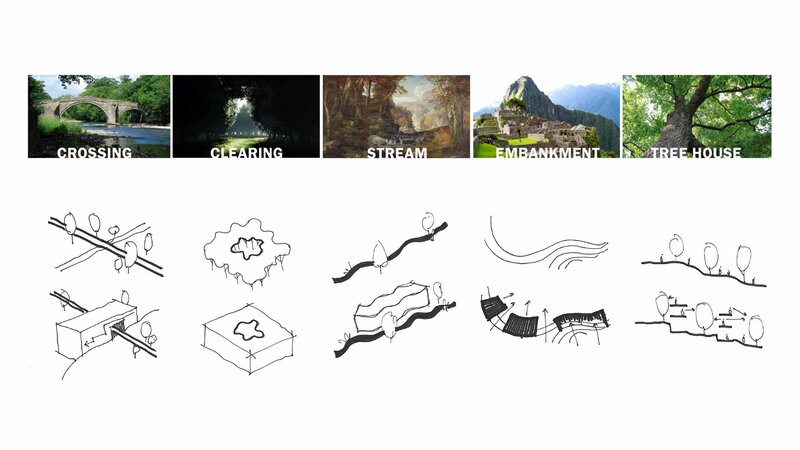 Our team created new tools, such as the Materials Petal Database — a crowdsourced collection of materials for the Living Building Challenge — for both developing and evaluating the design. Two design concepts advanced to form a dialogue of ideas. Formed by the landscape and designed through an integrated approach, both concepts met the stringent performance requirements set out by Georgia Tech, while staying within the $18M budget. 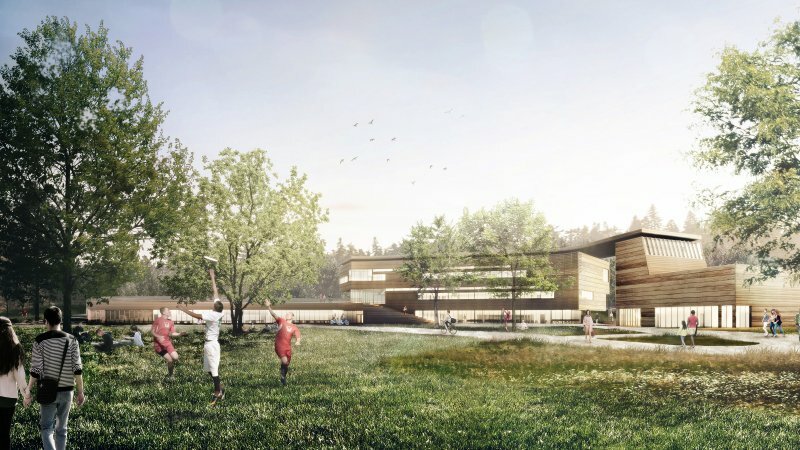 Built on gray fields, the designs would restore the natural ecology while engaging students about their systems. This effort was transformative for our team members. By sharing What We Learned, we hope it can be transformative for you. Part of the analysis of the numerous design schemes involved comparing how they emerged from and responded to existing site conditions. The team designed a “nutrition label” to show quantified measures and make it easier to compare one building design to another. 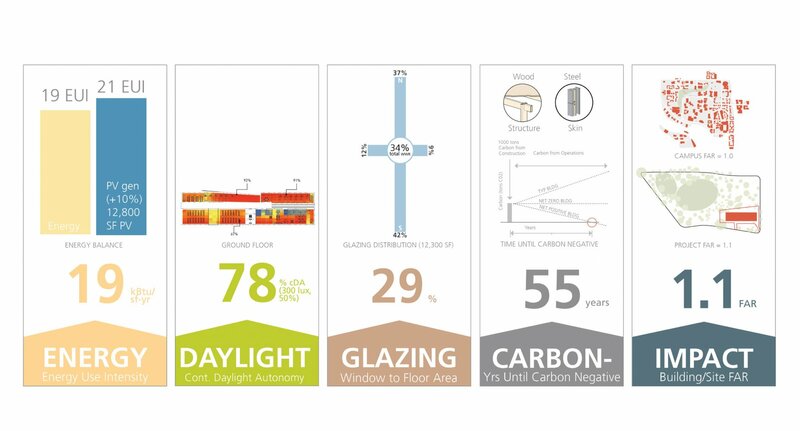 Both schemes were evaluated using metrics like energy, daylight, glazing, carbon impact, and site footprint. Each building received a score in each category with informational graphics to explain the meaning of each item. Finding one buidling design to be “better” than another was not the intent of the exercise. instead, it was intended to become another piece of design dialogue. A dog trot intervention borrowed from the southern vernacular, creating a social outdoor gathering space and an opportunity for visitors and passerby to see the revealed mechanical systems, the maaker space where Georgia Tech’s students collaborate, and perhaps stop in at an integrated bike repair shop and cafe.